The home campus of global educator Webster University is in picturesque Webster Groves in suburban St. Louis. 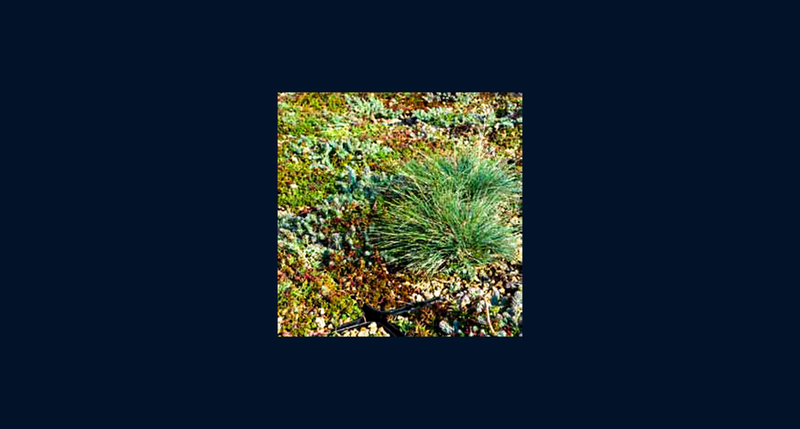 Encompassed in the university’s worldview and course offerings is a strong sense of environmental awareness. Which made this past April’s Sustainability Conference held in the new East Academic Hall a milestone occasion. This LEED Silver Candidate structure is three stories and 92,000 square feet of learning opportunities. 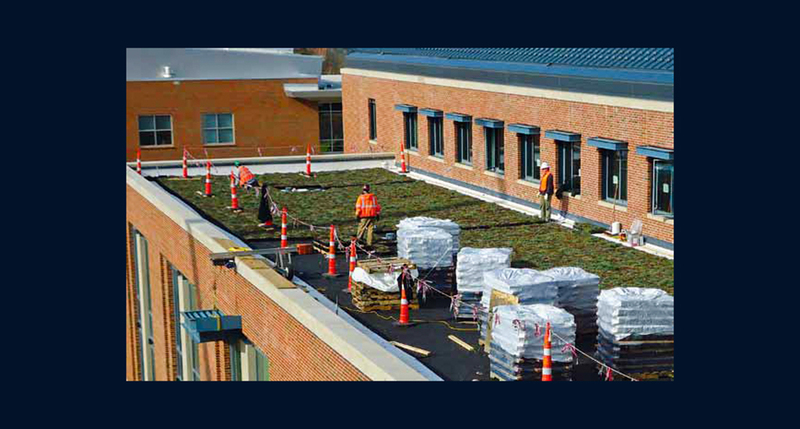 And on its roof is still another: the lushly vegetated system installed by Western’s St. Louis branch. 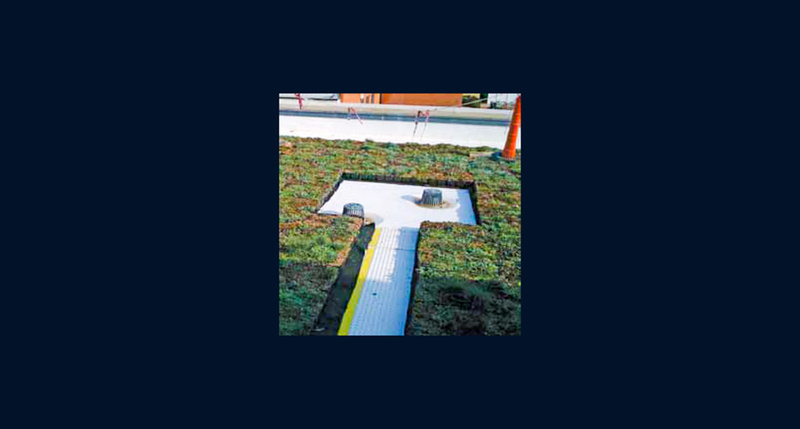 The overall roof design called for two green sectors and a third traditional surface. Each of the green areas received a base layer of fully adhered TPO membrane, to which some 1,600 vegetation trays—each 24-by-24 inches—were secured. The remaining roof system included fully-adhered TPO membrane adhered to tapered insulation. To meet the University’s tight deadlines and aesthetic expectations, Western representatives took part in regular owner’s meetings with the general contractor and architects. A total of 1,600 vegetation trays, each two-foot square, were secured to the two green sectors to create the lushly landscaped roof. Fully adhered TPO membrane was applied to the entire roof, with tapered insulation affixed to the non-green sector.